Industry leaders in management and gamification join Brett Knowles to cover the past, present and future of gamification in management during the MyObjectives Speaker Series. 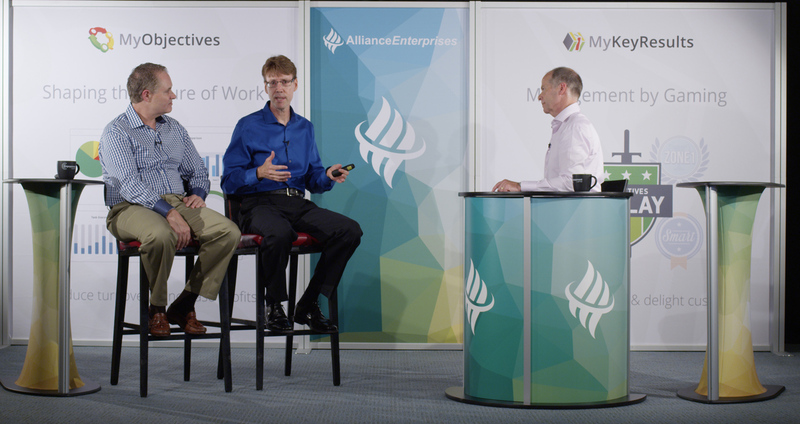 The series also highlights how key components of the goals management solution, MyObjectives, can bring together critical parts to motivate and engage employees in the workplace. Join Jane McGonigal, Ben Lamorte, Mario Herger, Chuck Coonradt and Paul Niven as they discuss the benefits of gamification and MyObjectives. Paul Niven, President, The Senalosa Group, Inc.